Errors post install. Is this normal? Hmm, can you create new tabs (Ctrl + T) and use another commands such as git, ssh, composer OK? CTRL-T works, but the commands do not. The "Working folder C:\Users\Khoa" seems like a static value issue? 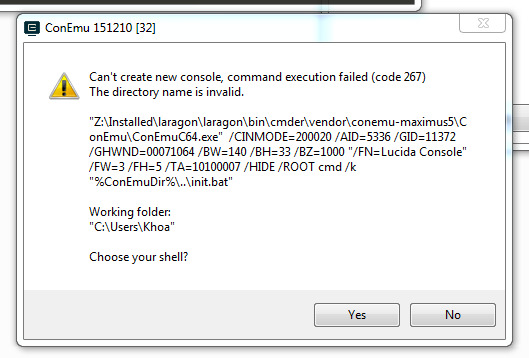 Also, another note, the data directory is defaulted to c:\laragon\data even if i installed on a different drive/folder. What is the Laragon version you are using? Thanks bud, great program btw, love the simplicity of installation. Worked great. I had an apache error but that was something else. After I fixed that everything went smooth. 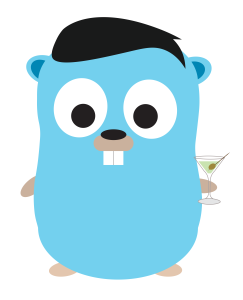 I was able to pull my git repo over and get it all running which is so awesome. Thank you for this wonderful tool. So helpful for a dev machine especially.